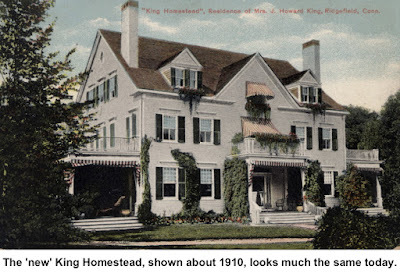 King Lane, the short road from Main Street to High Ridge, recalls one of Ridgefield’s most prominent families from just after the Revolution into the 20th Century. The Kings made their mark on local and regional history by producing notable soldiers and businessmen. 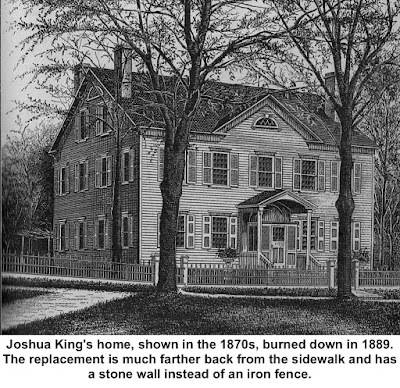 The King family in Ridgefield began in 1783 when Joshua King of Bridgewater, “state of Massachusetts Bay,” and James Dole of Albany, N.Y., paid 150 pounds to Hezekiah Johnson of Wallingford to buy a house, barn, and six acres on the east side of Main Street, opposite what is now King Lane. 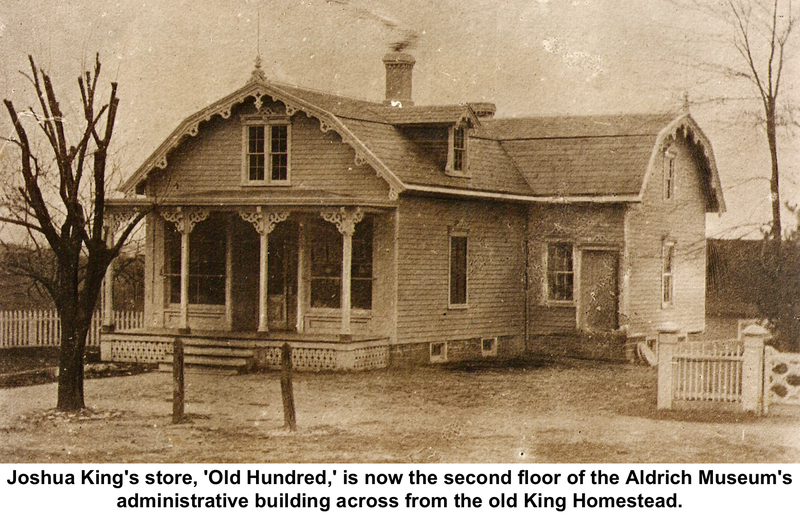 There the two, who had met in the Revolution, established a store, called King and Dole (later “Old Hundred”) in what is today the second story of the Aldrich Contemporary Art Museum’s office building. 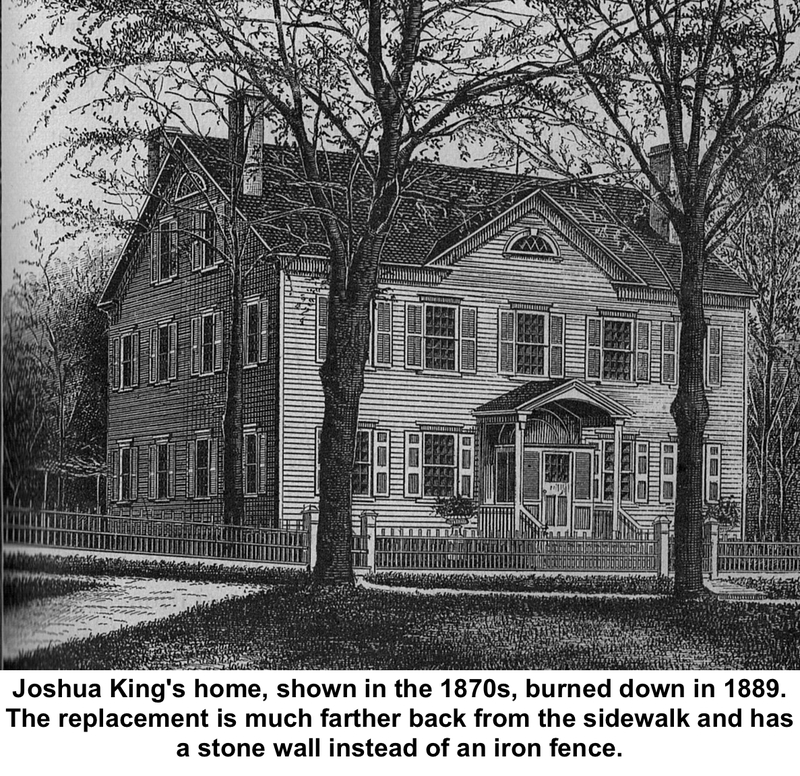 Joshua King was born in 1758 in Braintree, Mass. In 1779, he joined the Continental Army, initially as a cornet and later serving as a lieutenant in the Second Regiment of the Light Dragoons. gentleman in reduced circumstances. He had on a purple coat with gold lace, worn threadbare, a small-brimmed tarnished beaver hat, nankeen small-clothes, and long white top-boots. His hair was tied in a queue, with a long black band, and his clothes were travel-stained. “Lt. King, to whom the prisoner was delivered, saw at once that he had to do with a person of more than ordinary importance, and his own barber coming in to shave him, the same service was offered to the stranger and gladly accepted. “When the ribbon was taken from his hair, the lieutenant observed that it was full of powder which, with other circumstances, confirmed his previous impression. “After being shaved the prisoner asked the privilege of going to bed till his linen and small-clothes could be washed, but this was made unnecessary by Lt. King, offering a change of clothing, which was accepted. 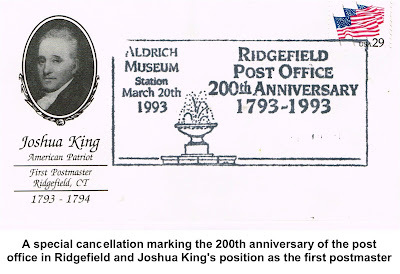 Sometimes addressed as General King because he held that rank in the postwar Connecticut militia, King became acquainted with Ridgefield during the war, liked the town, and decided to settle here. 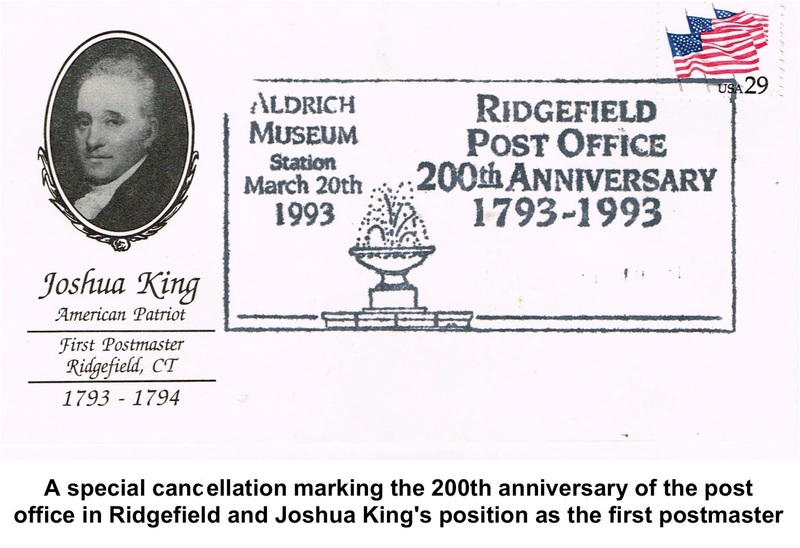 In 1784, a year after his arrival, he married one of the highest-placed women in Ridgefield. Anne Ingersoll was the daughter of the Rev. Jonathan Ingersoll, second minister of the First Congregational Church, and sister of Jonathan Ingersoll Jr., who was to become lieutenant governor of Connecticut from 1816 to 1823. As a merchant he was evidently quite successful, for Lt. King was soon a wealthy man. (Dole dropped out of the business soon after it started.) King bought much land all over Ridgefield – he became perhaps the largest private property owner in town in his time; certainly he held more than any other non-farmer. He was also a sort of one-man bank, dealing out mortgages to many residents. He also had interests in several mills in town. His house near the corner of Main Street and King Lane was considered one of the finest in town. When it burned down July 28, 1889, The New York Times described it as “the grandest old mansion in the village.” It was quickly replaced by the current house, modeled after the original but larger, which was placed much farther back from the road. Lt. King served several terms representing Ridgefield in the General Assembly and was a member of the 1818 convention that framed the modern Connecticut Constitution. This, from the son of a minister! Lt. King died in 1839, a year after his wife. 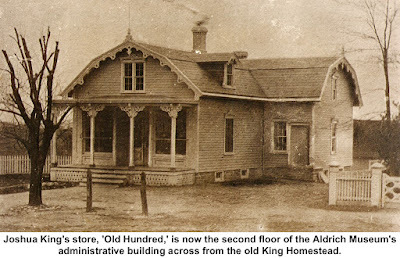 Several generations of Kings continued to use the Main Street estate until the early 1900s.